Dec. 1, 2014 11:00 a.m.
Police announced on Monday afternoon that a 67-year-old Ontario man has been charged with the murders of two young girls more than 30 years ago, including one from the former municipality of Matsqui. 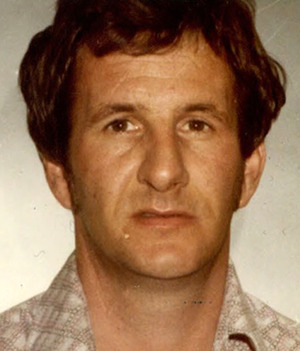 At a press conference in Surrey, police said Garry Taylor Handlen, 67, was arrested Friday in Surrey and charged with the first-degree murders of Kathryn-Mary Herbert, 11, of Matsqui (which later amalgamated with Abbotsford) in 1975 and Monica Jack, 12, of Merritt in 1978. Kathryn-Mary was last seen in the area of Townline and Marshall roads on Sept. 24, 1975 – one day before her mother’s birthday – after a friend, whom she ran into while walking home from another friend’s, doubled her part-way home on his bicycle and dropped her off. She never returned home, and her partially decomposed body was found on Nov. 17 of that year near Harris Road in an undeveloped area of the Matsqui First Nations. Her body was hidden under a sheet of plywood taken from the wall of an old outhouse. Her skull was fractured and her jaw was broken. The autopsy was not able to confirm whether Kathryn-Mary had been sexually assaulted, although her underwear, shoes and socks were missing. Monica (in photo at left) vanished on May 6, 1978 – 13 days before her 13th birthday – while riding her bike along Highway 5A just south of Quilchena near the Nicola Ranch in Merritt, B.C. Her remains were found on nearby Swakum Mountain in June 1995. Police at the press conference said Handlen was recently living in Ontario, but was a resident of the Lower Mainland at the time of the murders. He also travelled extensively around B.C. and Alberta at the time. Police said Handlen was a “person of interest” early in the investigation, but it has taken this long to gather enough evidence to support first-degree murder charges. They confirmed that he did have a criminal record, although they wouldn’t expand further on his background or on the evidence that led investigators to him as a suspect. 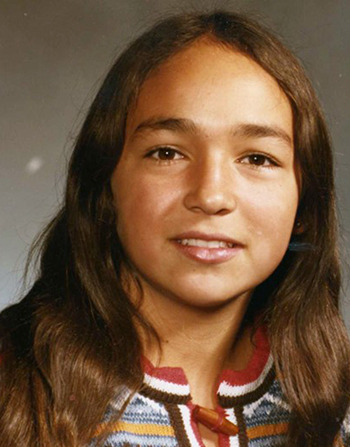 Police said they have not found evidence to link him to the similar murder of another Abbotsford girl – Theresa Hildebrant, 15, who went missing on May 24, 1976 and whose remains were found four years later in a shallow grave near Downes and Mt. Lehman roads, not far from her Sun Vally Crescent home. She had been beaten to death. RCMP Supt. Ward Lymburner said the investigations into Kathryn-Mary’s and Monica’s murders involved numerous police agencies and investigators over the years. He said Monica’s murder became part of the Project E-PANA investigation in 2007 looking into 18 unsolved cases – 13 homicides and five missing-women cases – of females last seen within a mile from highways 16, 97 and 5 in B.C. Bobby Jack Fowler was named as a suspect in three of those cases – called the Highway of Tears murders – and died in a U.S. prison in September 2012. Most of the other cases remain unsolved. Kathryn-Mary’s murder was turned over in 2005 to the Provincial Unsolved Homicide Unit, which included involvement by the Abbotsford Police Department. “It deeply impacted citizens and investigators alike, but obviously was most devastating to family and friends,” he said. Both moms spoke at the press conference, fondly remembering their daughters and thanking investigators for their perseverance in arresting and charging a suspect. Monica’s mom, Madeline Lanaro, said her daughter was a beautiful little girl who was always happy and had a “tingly laugh.” She said she was happy and relieved that someone had been charged with Monica’s murder. Greer said her daughter was “loving, kind and compassionate,” and had been deprived of the many dreams she had wanted to achieve. “These two little girls – Monica and Kathryn-Mary – made a difference in this world while they were here. Garry Handlen couldn’t take that away,” she said. Handlen, who remains in custody, is next scheduled to appear Dec. 8 in Abbotsford provincial court. Police released a photo of Handlen as he would have appeared at the time of the murders, and they have asked for the public’s help with any additional information about him or the disappearance of Kathryn-Mary and Monica. Those with information are asked to contact the Integrated Homicide Investigation Team tip line at 1-877-543-4822.